Christmas Powder and Big Storms to Start 2017! 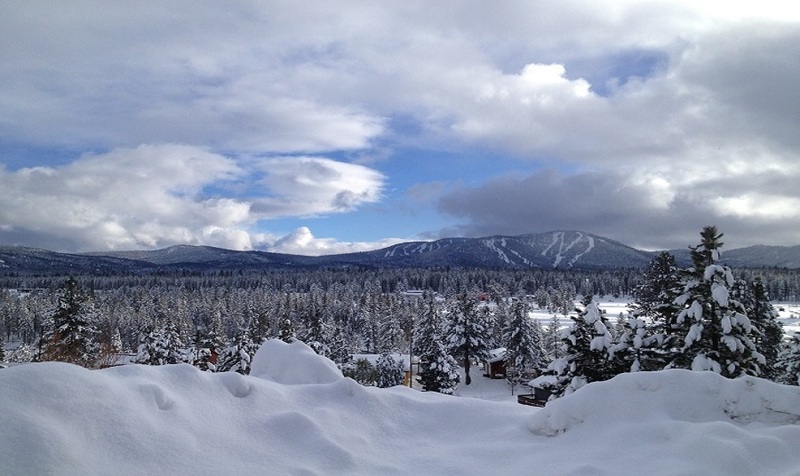 "I'm dreaming of a White Christmas ..." and it came true this year in the Tahoe basin! What a beautiful holiday season with storms that brought in fluffy powder Christmas weekend, delighting those who has planned for great ski days, but this was even better! People were out riding in the storm, and waking up to a lovely bluebird day to catch some fresh turns. Santa pulled through. Ho, ho, ho! If you didn't have a chance to enjoy the slopes over the holidays, don't hesitate to book your ski getaway while our rates are reasonable! You can enjoy a lakeside room to lay your head after a long day of skiing, and if you're looking at next weekend you'll need to pack your powder skis. On Sunday, New Year's Day (January 1, 2017) the first of several storms arrives in Tahoe, and if forecasts line up just right we could be looking at 48 inches at higher elevations. Do the math on that. Check out the forecast here and winter weather advisory to learn more! So if you're dying for waist high powder, check out our Donner Lake Village accommodations or contact one of our Reservation Agents to see if there are any specials available!